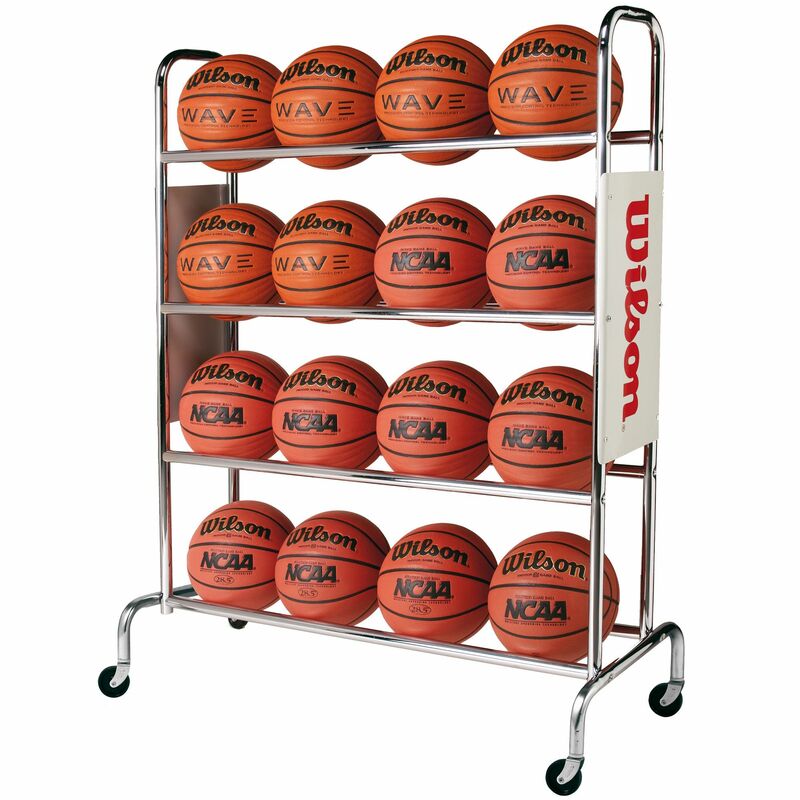 Ideal for clubs and centres that need spacious storage, the Wilson Deluxe 16 balls basketball rack is a top-quality option. Featuring 4 levels, this ball rack will take 16 official size balls with 4 on each row, and it has 4 wheels so you can move it around easily and freely for use during practice sessions and to store it afterwards. The rack is made with an aluminium frame and chrome-plated steel tubing to ensure its durability and strength, and it features Wilson logo panels on the sides. 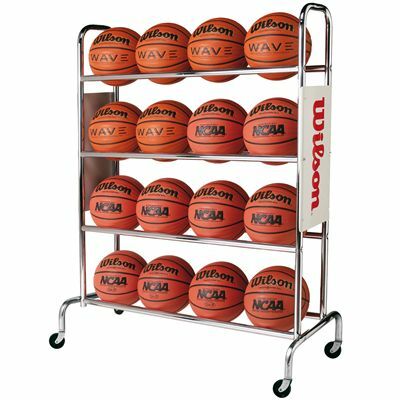 for submitting product review about Wilson Deluxe 16 Balls Basketball Rack.